At the Shrine of our Lady in Perryville, we will pray for your deceased relatives and friends throughout the month of November. 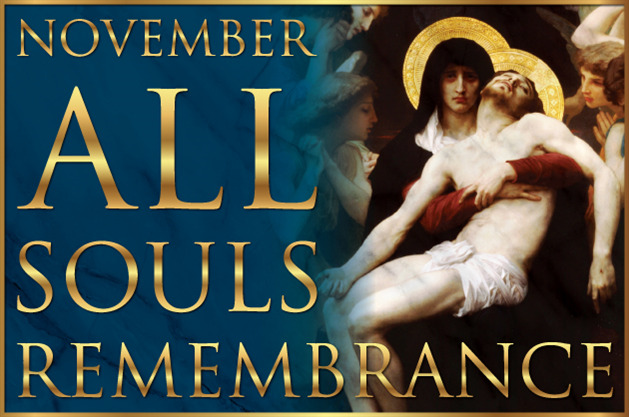 On All Souls Day, November 2, we will celebrate Mass for those you wish to remember. Send me their names so they can be placed near Mary’s Shrine for All Souls Day, and if you also give us their anniversary dates, we will remember your loved ones at the appropriate time in the coming year. You can also burn Votive Lights for your departed loved ones as a visible reminder of your prayers for them. Read Fr. Kevin’s letter about the time-honored tradition of commemorating the faithful departed on All Souls Day.